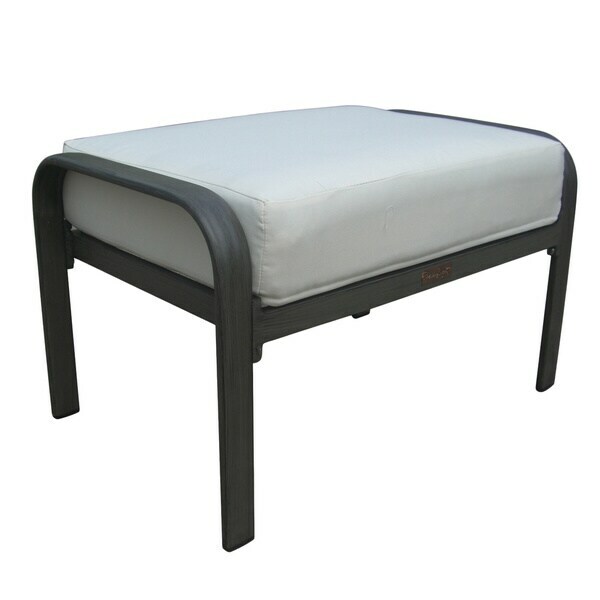 The Panama Jack Newport Beach Ottoman will bring a modern look to your outdoor oasis with its sleek grey design. It is made with a plush 100-percent polyester fabric and is ideal for any contemporary style home. "What color is the metal part?"